*********THE ROSE OF ROSCRAE Released! Shipping Now! 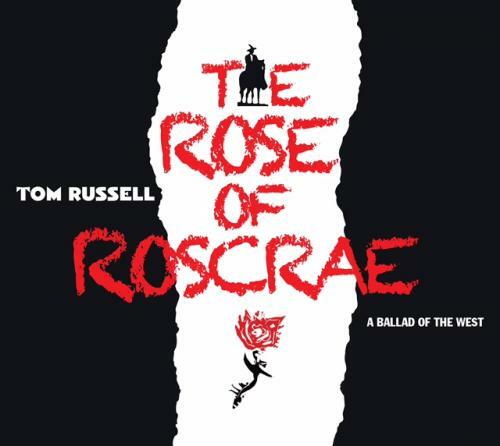 The double Tom Russell CD "The Rose of Roscrae" is now shipping from Frontera Records. The Bundle - or full package - is highly recommended, because you receive the double cd, plus the 92 page book with all lyrics, historical notes on songs, and notes on all performers from Johnny Cash to Lead Belly. Also the third "radio" disc with outtake, major songs, and full Overture. May 1 - New York City - Midtown Live! May 5,6- Columbus, Ohio.....2 Shows! Natalie's Pizza! June 26,27 -Vancouver, B.C. - The Rogue Folk Club - 2 nights! All venue and ticket info: www.tomrussell.com Book early! September/October: *****Dublin, Belfast, Port Stewart, Brighton, London, Bury, Farncombe (2 days), Oxford, Glasgow, Nottingham, Pocklington, Leeds. Hope to see you all on the road and please share your thoughts on the record on Facebook...or let us know...thanks for keeping the faith!